Is this Australia’s most valuable foal? AT LESS than a fortnight old, this youngster is fast becoming one of the most valuable standardbred foals in the southern hemisphere. 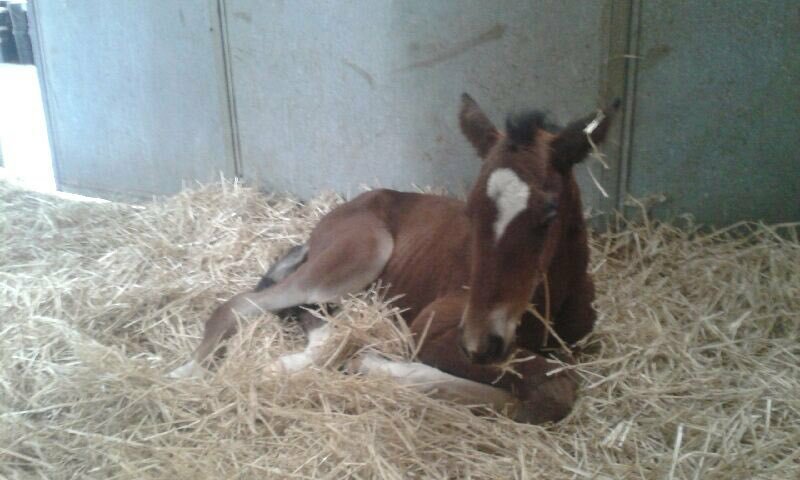 While enjoying the comfort of her mother last night, the filly’s half-brother was claiming favouritism for the Perth Inter Dominion. Successful in the opening heat of the time honoured Championship at Gloucester Park, Soho Tribeca tops the table for the Final on December 8. The Kim Prentice-trained stallion is listed at $3.10 on Tab Fixed Odds, with Lazarus the second elect at $3.20. Local enthusiast Robert Watson bred the siblings from his mare Pixel Perfect, with the elder of the pair creating a huge buzz with his latest victory. With Prentice in the card, Soho Tribeca led throughout from barrier two, scoring by 11-and-a-half metres from Lazarus, with Shandale four metres away third. “From that draw I was always looking to lead, and once he got the front, he did it pretty comfortably,” Prentice said. Not making the trip for nothing!